DAVID LE/Staff photo. 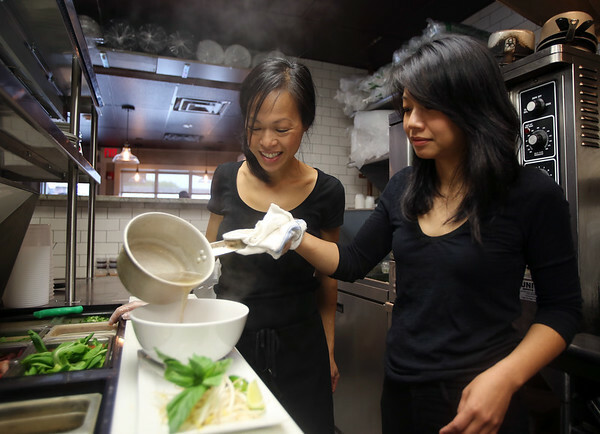 Soall Bistro co-owners Sa Nguyen, left, and Mia Lunt, serve up delicious Vietnamese food including four types of pho, a traditional Vietnamese noodle soup. Nguyen, left, smiles while watching Lunt pour the steaming pho broth over a bowl of noodles and thinly sliced beef. 10/9/15.